This is an original "Spange" or commendation for the annexation of the city of Prague. 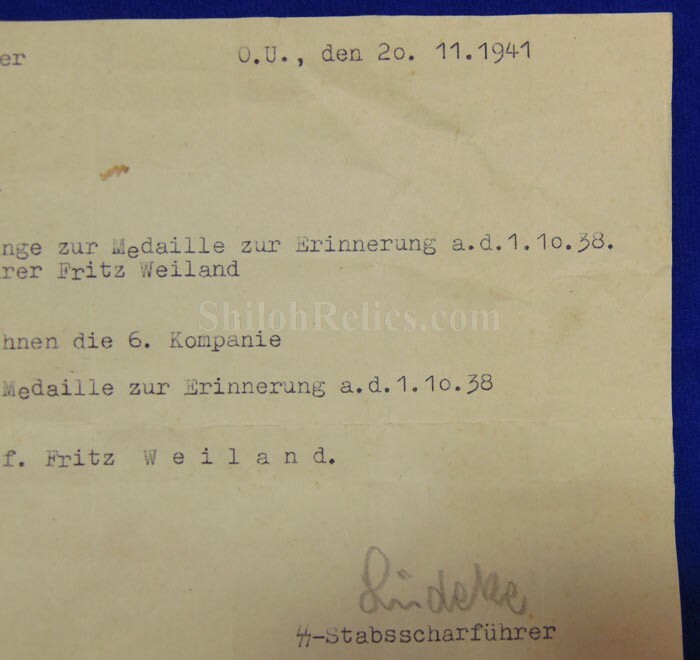 This has the paperwork showing that it was presented to the family of Fritz Weiland. 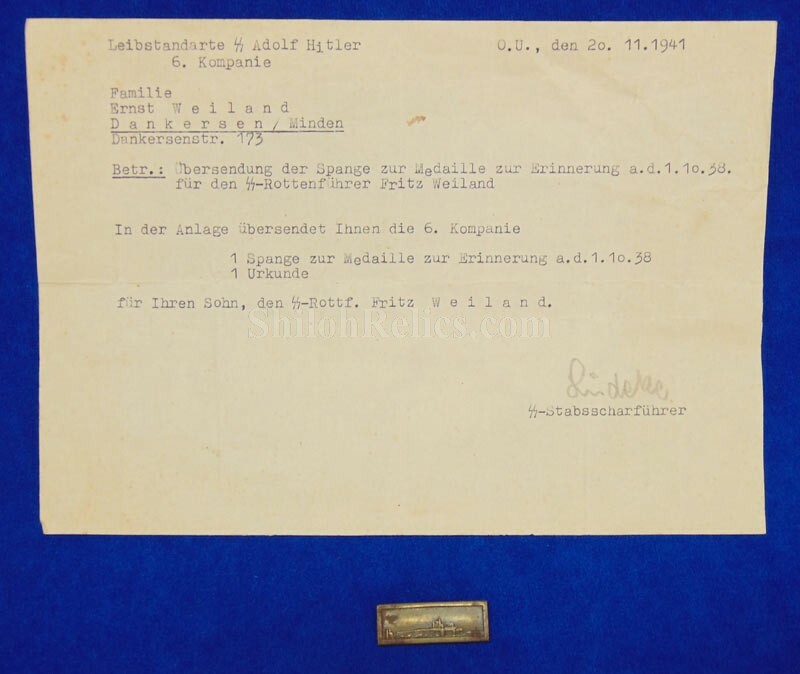 Fritz was serving with the Leibstandarte - SS Adolf Hitler 6.Kompanie and had been Killed on the Russian Front. His commander forwarded the award he won but didn't live to receive. 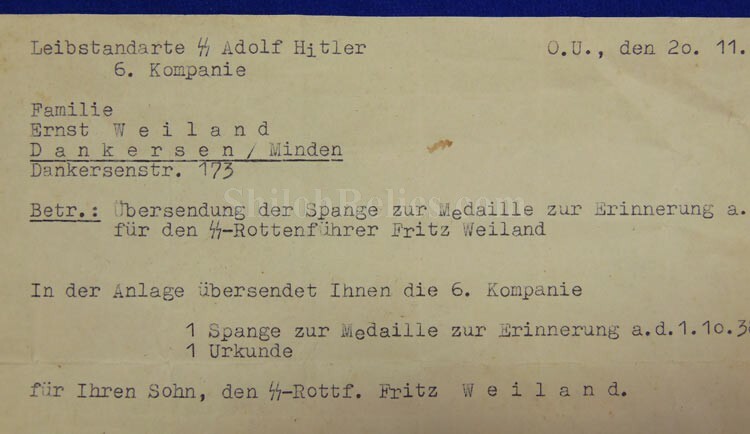 The German medal that this piece would have been designed for was made to celebrate the Nazi annexation of the Sudetenland. The front of the medal would have shown the two figures with the Nazi flag in the background and the German eagle at the bottom. The back of the medal it would have had the date of the annexation of October 1st 1938. This was one of the German takeovers that began the Second World War. 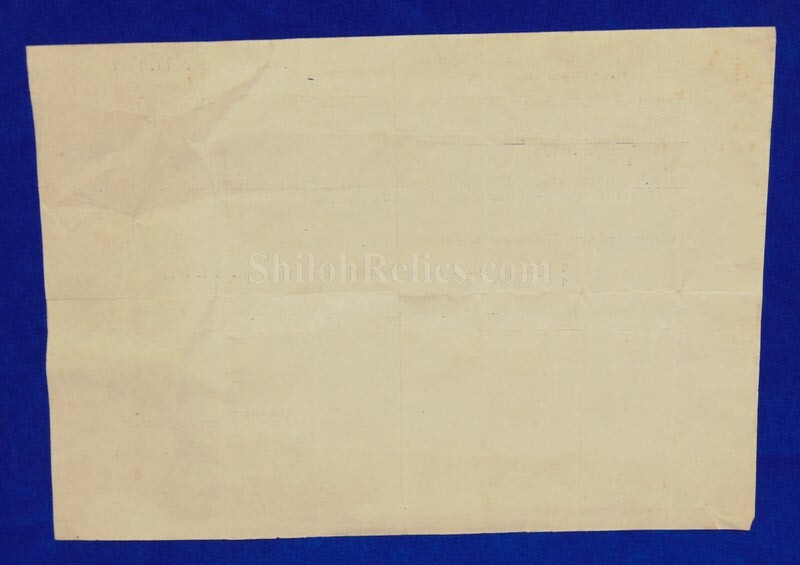 This is a cool piece with an impressive document accompanying it.